Project Situation: The project involved the removal of the existing crematorium equipment and alterations to the existing building. The installation of two new cremators and associated flue enabled the building to be adapted in order to meet the current needs without undue detriment to the appearance or functioning of the facility. Project Brief: To undertake alterations and refurbishment works to the existing building in order to allow for the introduction of two new ATI cremators, mercury abatement plant and heat recovery plant together with associated building works to facilitate the installation of this new equipment into the existing shell of the building. 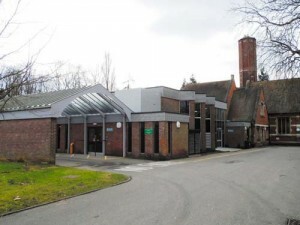 Project Solution: Alterations were made to the existing crematorium building to upgrade facilities including formation of new openings in exterior facade, installation of a new cremator flue system and associated building works. The re-modelling of the existing room layout and refurbishment of the building including both mechanical and electrical services. A new waiting room has now been added along with the refurbishment of the ‘back of house’ facilities to improve staff working conditions, which have included the staff kitchen and wash rooms. The whole project was managed by Needhams Contracts Ltd both on-site and from our Head Office based here in Ipswich working alongside ATI UK to ensure the whole project was well delivered, on time and to budget. Points of Interest: Mercury abatement plant and heat recovery plant. The ‘Considerate Contractor’ scheme was in place to ensure that all areas were fenced in when any works were being undertaken and no noise made, even during a morning, if a burial was taking place close by. The crematorium is situated in a conservation area and is on the National Register of Historic Places.